Hangzhou Shalom EO offer the two types of true zero order waveplates: the singl plate without substrates and the cemented waveplate with substrates. The stocked modules are available for customer’s selection in fast delivery and low cost. This type of zero order waveplate is designed for high damage threshold applocation (more than 1GW/cm2). As the plate is very thin, it’s easy to break during operation. This type of zero order waveplate is constructed of a true zero order waveplate and a BK7 substrate. As the waveplate is very thin and easy to be damaged,the Bk7 plate’s function is to strengthen the waveplate. For mid-infrared (and partly also terahertz) generation, one requires crystal materials with a transparency range extending far into the infrared spectral region. The most important of these media are zinc germanium diphosphide (ZGP, ZnGeP2), silver gallium sulfide and selenide (AgGaS2 and AgGaSe2), gallium selenide (GaSe), and cadmium selenide (CdSe). Gallium arsenide (GaAs) has also become useful for mid-infrared applications, since it is possible to obtain quasi-phase matching in orientation-patterned GaAs . Sapphire Optics And Sapphire Custom Shapes, Including Sapphire Balls, Sapphire Lenses, Sapphire Prisms And Mechanical Parts Hold a Unique Place In The World Of Optics. 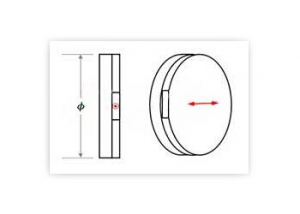 a Sapphire Lens, Ball Lens And Prism All Exhibit Exceptional Performance In a Number Of Applications That Require Extreme Mechanical, Optical, Thermal And Chemical Robustness. 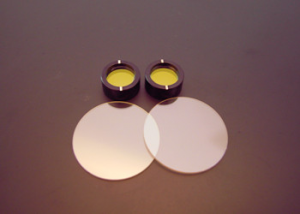 Sapphire Optics Also Have Excellent Transmission Bandwidths, Transmitting Well Into The Uv And Ir; a Much Wider Range Than Most Common Lens Materials. 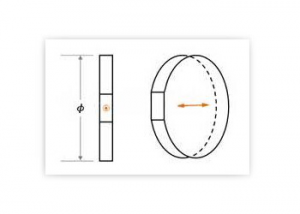 Why Are Sapphire Optics & Sapphire Mechanical Parts Such High Performers? a Sapphire Lens Can Be Exposed To Extreme Abradants Such As Sand And Particulates With Minimal Effect On The Clarity Of The Optics. This Makes Sapphire Optics The Ideal Material For a Variety Of Applications Such As: Aerospace Lenses, Downhole And Drilling Vision System Optics, Inspection Windows, Watch Crystals And Gun Sights. 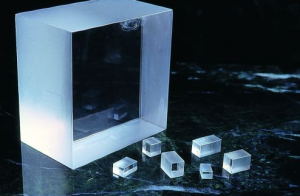 Sapphire Lenses And Sapphire Prisms (Optics,Wafers and Crystals >> Sapphire Optics >> Sapphire Prisms) Can Take Pressure Like No Other Clear Material, Making Sapphire Optics The Go-To Transparent Material For Highpressure Vessels, Deep Sea Windows And Sight Glasses. Combined With The Exceptional Thermal And Chemical Performance Of Sapphire, a Sapphire Lens Is The Ideal Transparency For Pressurized In-Process, Deep Sea And Equipment Sensors.